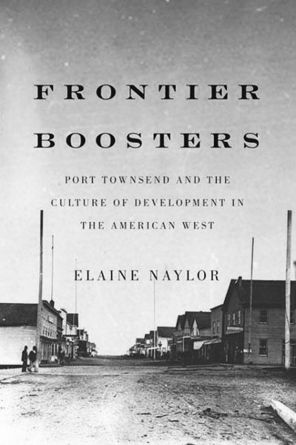 In “Frontier Boosters,” historian Elaine Nailor chronicles the struggles of the leaders of 19th-century Port Townsend to compete with Seattle as the commercial center of Puget Sound. The leaders of Port Townsend once had dreams of making their city the commercial metropolis of Puget Sound. The town was founded in the same year as Seattle, 1851, and it made a living the same way, by milling lumber and loading it onto ships for San Francisco. Port Townsend had some advantages over Seattle: It was better for sailing ships because of its harbor’s moderate depth and the prevailing winds, and because it was closer to the ocean. The coming of the railroads in the late 1880s killed the dream. Port Townsend was on the wrong side of the Sound. Its champions tried to save it by building a railroad to Olympia, but at Quilcene they ran out of money. For decades Port Townsend was economically embalmed, which is why it is now able to promote itself as a kind of museum. Naylor is assistant professor of history at Mount Allison University in Sackville, New Brunswick. She is interested in Port Townsend as an example of “boosterist thinking” by settlers who believed that economic growth would enrich the community and themselves. It is odd to read of the settlers’ “belief” in development, as if it were an open question. Of course they believed in it. Naylor allows that historians “face a tendency in the academy to view boosterism from an ironic, dismissive perspective,” implying that she won’t do this. Mostly she doesn’t. The focus of this academic historian is on how the push to make Port Townsend an important city affected its internal conflicts of race and class. For example, in the mid-1880s the Knights of Labor, a union of white workingmen, organized an effort to drive out the Chinese. 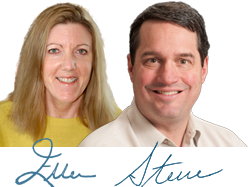 It drove them out in Tacoma and Seattle, but not in Port Townsend. Instead of war, the town’s leaders announced economic sanctions — a boycott of Chinese businesses. This was likely to fail, and did, but it mollified racial passions and kept the peace. Naylor notes that popular historian Murray Morgan wrote of this dilemma in a jocular vein. Naylor is never jocular; she takes seriously the town leaders’ urge to be respectable, which was a serious matter to them. Though she doesn’t say so, the conclusion that presents itself in her story is that the town leaders managed their social conflicts fairly well in the context of the times, and that it became “a loser in the rivalry for great-city status” for reasons beyond its control. © 2018 Cape George Com — All rights reserved.